Thanks to Steve Carson of Rangeland Hands Inc. for coming down from Santa Fen NM to lead the conversation. BIG Thanks also to #DevilsAdvocates Sky Jones Lewey, Joe Joplin,Minda Pfeil and Sarah Robertson for aiding the behind the scenes logistics of the workshop and ensuring a successful event! Looking to take part in our upcoming events and education? Become a Devils Advocate today! The Devils River Conservancy, with support from private donors, organized the Devils River Working Days project to engage landowners in evaluating aquatic invasive species populations, water quality in relation to suspended solids and sediment distribution and recreational impacts. The intention of this project was to engage landowners and stakeholders in observing and addressing challenges to the shared resource. Water Clarity- There is an There is an abundance of fine sediment suspended in the Devils River and many theories as to why; recent rain events along with bank disturbances, invasive fish activity, water temperature, lack of a large flood event, or a morphological-gradient change. From the top of the river to Blue Sage we only experienced the blue water that the Devils is known for once and that was in a spring branch of the river known as Blue Hole. Observations indicate that more study is needed to understand the sediment transport and distribution processes in the Devils River. Recreation Impacts- It is clear that recreational impacts increase dramatically below the Texas Parks and Wildlife Department Del Norte State Natural Area. In effort to address the ever growing recreational interest in the Devils River the Texas Parks and Wildlife Department is developing projects to consolidate and minimize recreational impacts along the river. Annual assessmentsof recreational impacts may be helpful in monitoring the success of these projects. Aquatic Invasive Species- Due to water clarity issues during the project we were unable to fully evaluate the reach and damage of the aquatic invasive species in the Devils River. A different means of assessment such as targeted electroshock would be beneficial in determining the population density and reach. 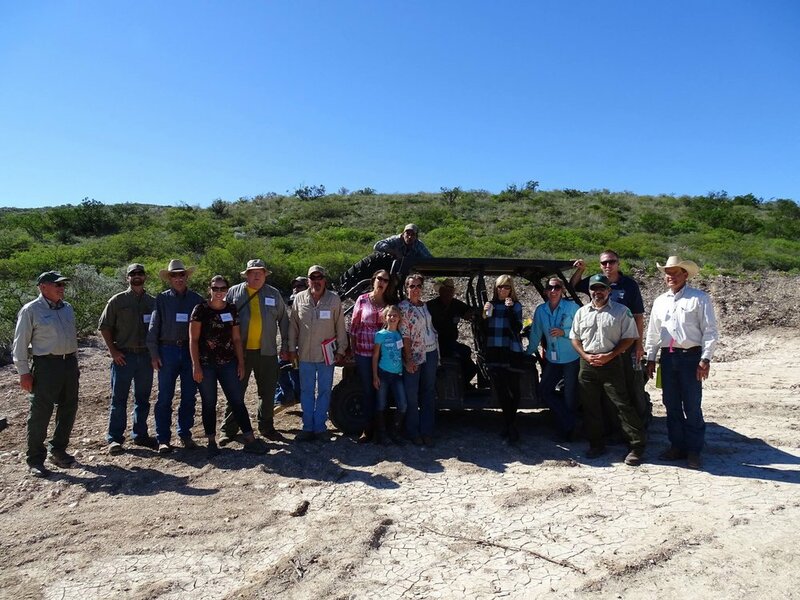 Landowner Engagement- The Devils River Working Days project was successful in uniting landowners around the shared resource, identify its challenges and working together to develop solutions. We had eleven landowners participate in the Working Days project and approximately twenty landowners attend the community gathering event. At the Texas Parks and Wildlife Commission meeting on August 20th, the Devils River Conservancy donated two kayaks to the Texas Parks and Wildlife Department for Devils River State Natural Area staff to use in conducting river patrols and outreach to river users. The DRC also donated custom wristbands, a paddler identification component of the Devils River permit system. Formed in 2011 by landowners and river users, the DRC aims to preserve and protect the Devils River and the lands within its watershed. The DRC’s donation allows TPWD to increase its management efforts and presence on the Devils River and create a pristine river recreational experience for river users.